Matt Marrone is a member of the firm's Construction Litigation, Government Contracts and Commercial Litigation Practice Groups and serves as the firm's hiring partner. As litigation counsel he has represented owners, sureties, architects, engineers, general contractors, subcontractors and suppliers in complex design and construction cases in trials and arbitrations throughout the country. In addition, Matt performs a variety of pre-litigation services for his design and construction clients, including contract drafting and negotiation. 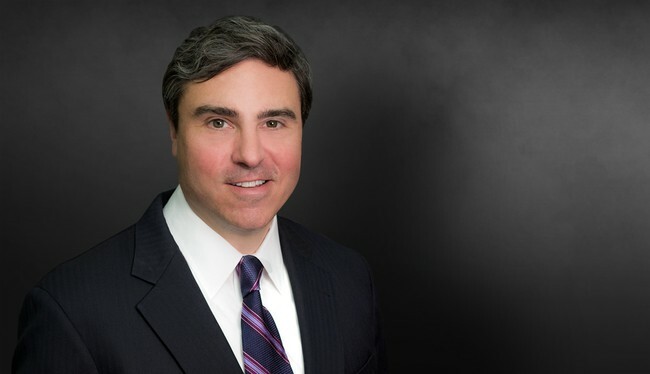 Outside of the construction industry, Matt has represented corporations and individuals in commercial disputes including commercial real estate transactions and business sales. Matt's civil litigation practice focuses on construction litigation, government contract litigation and commercial contract litigation. Has litigated cases on behalf of contractors, subcontractors, suppliers, materialmen, engineers and design professionals in Alabama, Florida, Georgia, Mississippi, North Carolina and South Carolina. Represented geotechnical engineers in case involving a South American gold mine. The case was brought by the mine’s owner and the owner claimed damages in excess of $100 million. The case was litigated in the American Arbitration Association’s International Centre for Dispute Resolution, in the Superior Court of Justice in Ontario, Canada, and in the Superior Court of DeKalb County, Georgia. The case was ultimately resolved for far less than the projected costs of defense. Successfully defended design professionals in $75 million dispute over the adequacy of design of bridge in Charleston, South Carolina. Obtained jury verdict on behalf of one of Florida's largest civil site work contractors. Jury awarded full amount of client's claimed damages. Also prevailed on defendant's counterclaim, which the jury denied in its entirety. Defended an engineering firm against negligent design claims brought by the US government. The case involved a 500-acre levee project in Florida that was implemented as part of federal Everglades restoration legislation, and the government alleged more than $50 million in damages. After over four years of litigation in the United States Court of Federal Claims, the case was favorably resolved. Represented a medical group in a breach of contract case against the purchaser of the client's practice. The purchaser alleged various counterclaims, including fraud. After trial and post-trial briefing, the trial court awarded client the full amount requested, including attorneys' fees, and dismissed the purchaser’s counterclaims. The judgment was later affirmed by the Georgia Court of Appeals. Marrone, Matthew and Ross Ginsberg, "Balancing Optimism With Pragmatism: Allocating Risk in Construction Contracts,” Construction Executive, April 13, 2018.
International Arbitration: A Practical Guide for the Construction Industry, Contributing author, 2010 update.